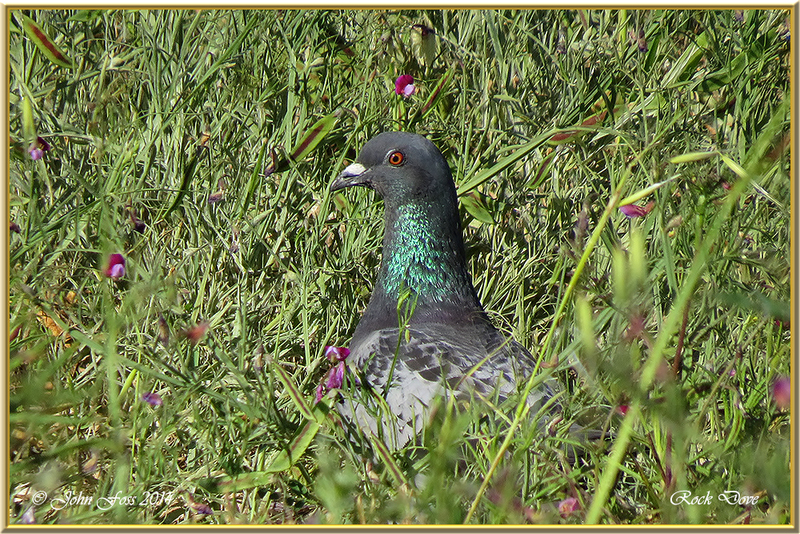 Rock Dove - Wild rock doves are pale grey with two black bars on each wing. 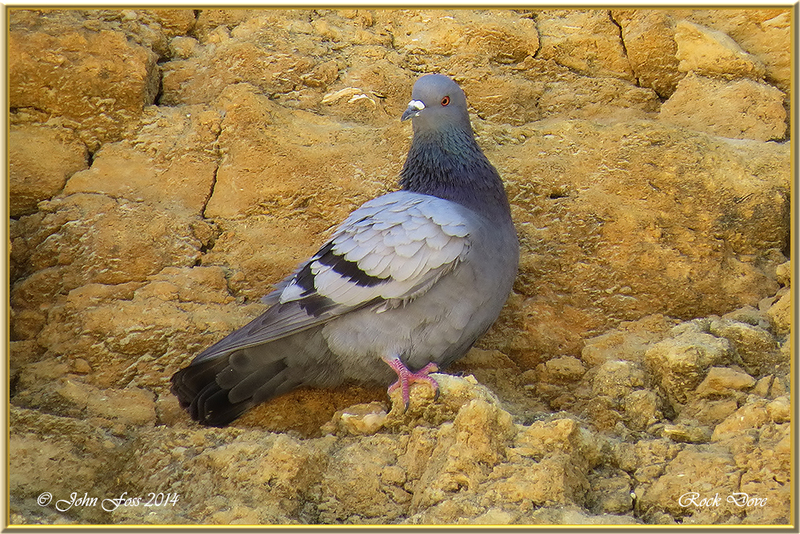 Also known as the rock pigeon or blue rock dove. They roost and breed on rock ledges building nests in crannies and caves. Rock Pigeons have been domesticated for several thousand years, escapees have resulted in feral populations in cities world-wide. In Britain they are now only found in extreme north of Scotland. They have been observed in Ireland although restricted to remote areas of Counties Cork, Mayo, Galway and Kerry. 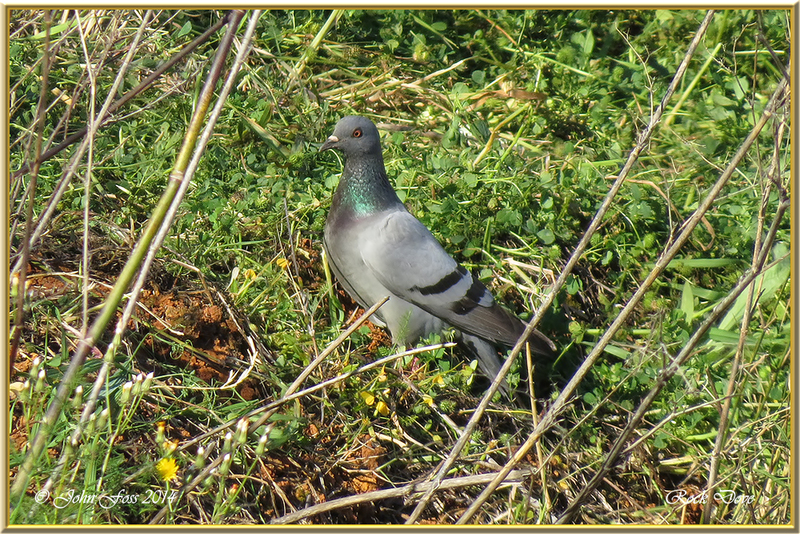 I identified these birds in the Algarve by the prominent wing bars, habitat and behaviour in Praia Da Rocha Portugal.